We have done our best to teach our children manners and social protocol. They say please and thank you when appropriate. When someone asks them a question they answer it. We have tried to teach them when it is okay to sing and dance and when it’s time to sit and listen. However, sometimes, I think it’s easier to teach a monkey algebra. It is not often I talk about this, though I have hinted at it in previous posts. It’s not that it’s difficult to talk about. It’s that it is filled with such mixed emotions. Excited. Scared. Hopeful. Helpless. Confused. Joy. It was quite the roller coaster. Mom says I loved to read along with this. Thanks Fisher Price! That’s the reader on right. 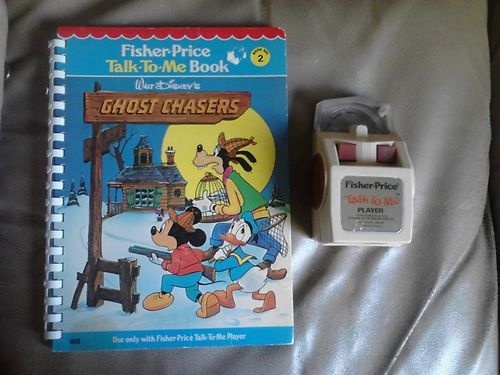 You used the reader with Talk-To-Me books, which had a 2-inch plastic record laminated on the bottom corner of each page. You line up the player with the record and pressed play. After a mechanical KA-CHUNK, the record would start playing to read the page to you. Man, I still wish I had this. I bet my boys would love it. If they didn’t I sure would! Once I did read novels, from what I can remember, I preferred fiction. 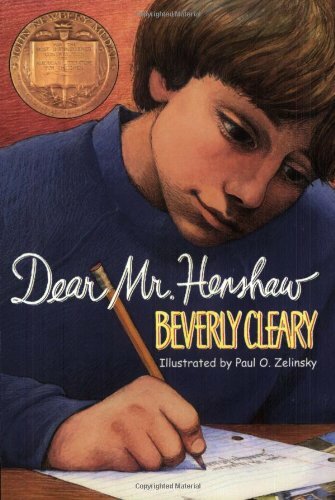 I still have Dear Mr. Henshaw by Beverly Cleary waiting for my sons to read and hopefully enjoy as much as I did. Actually, I was big fan of Beverly Cleary. I think I wanted to meet her. She also wrote a three book series about the mouse, Ralph S. Mouse. 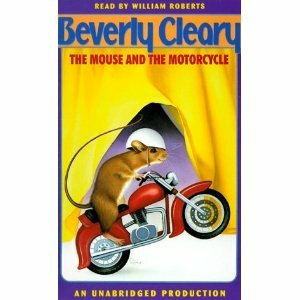 I read The Mouse and the Motorcycle, the first in the series, and I was hooked. Then there was Matt Christopher. Being the somewhat athletic kid I was, I really connected with these. There might even be one two of his books here patiently waiting to be opened by the next generation. Then there were books on the lesser known side that I enjoyed and often read more than once. One such book was Bones on Black Spruce Mountain by David Budbill. Then there were Choose Your Own Adventure books. In real life, once you make your choice, that’s it, it’s a done deal. It’s not like that in a book. Didn’t like your choice? Go back and pick the other one! I may have cheated a few times to make it to the end. Quality reading? I’m not sure it really matters. I was reading. My parents let me choose what I wanted to read, with some guidance, of course. I do the same with their grand kids (2 of them, anyway). Hopefully, they’ll learn to love reading the same way their parents do. The post “My Early Novel Reading Days” by I Read Encyclopedias ignited this post. I found the comment I writing for his post was turning into a post of my own. Thanks Jay! Einstein said that time is relative. The faster you travel the slower it goes. Imagine 2 minutes. Sitting next to a celebrity you’d like most like to meet for two minutes and it’ll be over in a flash. Hold your hand over a candle flame for two minutes and it’ll feel like eternity. Now, imagine 7 years. At the time of this writing, 7 years ago was 2007. On one hand it seems long ago. Do you remember a book you read? Harry Potter and the Deathly Hallows and A Thousand Splendid Suns were published in 2007. Or perhaps a movie you watched? Harry Potter and the Order of the Phoenix, The Simpsons Movie, and 300 were all released in 2007. Jordin Sparks won American Idol that year. Seems long ago, doesn’t it? It also happens to be the year our first son was born. Nothing shows the passage of time like watching your kids grow. That was also the year our first son was born. He had such a rough start in life. He was born with a congenital heart defect that required open heart surgery when he was only five days old. Though it was 7 years ago, I remember it like it happened yesterday. So much has happened since he was born. We had a major move. His brother was born. An Uncle passed away. Friends got married and had kids of their own. We’re on our 4th vehicle and 3rd apartment. There have been some big changes in seven years. It’s always the people who have older kids or their kids are grown. I, too, am guilty of telling someone with a new baby that time passes quickly. It’s not so much the day to day routine that passes quickly. It’s the weeks, the months, and years that zip by. Sure the last 7 years since our first born came into the world has gone quickly, but what about the time I was 7? 30 some years ago there were no cells phones, internet, and if you wanted to play video games you played Atari. But what if my parents think back to when they were 7? I think George Washington had just become president! (Just kidding ma and pa!) When they were 7 schools were still being desegregated. No one had gone to the moon and a gallon of gas was 31 cents. The moral of the story? Enjoy it while it lasts. For nothing very, very good or very, very bad last for very, very long. I’m am going to challenge myself to do some book reviews. Perhaps I’ll reserve Wednesdays for it. Since today just happens to be Wenesday, here’s my first review. It’s a picture book! Trixie is young girl who has not yet learned to use words. She goes to the laundromat with her daddy and proceeds to help. “Then they left” and chaos ensues. It isn’t until Trixie and her daddy get home that Trixie’s mom solves the problem. Any child who has a special stuffy will easily relate to Trixie and Knuffle Bunny. Perhaps that’s why I like it. My special stuffy, Timmy Bunny, is 35 years old as is my DW’s Scruffy Bear. I also enjoy that she is with her daddy doing laundry. Though it is mommy who is smart enough to figure out why Trixie is having a melt down. The illustrations consist of cartoon-ish character set against black and white photos of downtown sites. The cover illustration is exactly what you’ll find throughout the book. I think most parents will connect on a personal level with this book and highly recommend it to anyone with or expecting kids. Next week’s review will be my favorite historical fiction book. That quote, along with Einstein’s picture, have adorned my classroom wall every year I’ve had my own classroom. Even as a math and science teacher I always encouraged students to be creative, use their imagination, play the “what if” game. I do the same with my own two kids. Ever since Crash was born (7 years ago) I’ve allowed his imagination to run wildly free. We would play made up games of Max and the Wild Things – we’d show our terrible claws, roll our terrible eyes, gnash our terrible teeth and roar our terrible roars. We’d find pictures in the clouds, the moon, and the stars. We’d make up stories and go on adventures in the backyard. Which brings me to the first TV show he took an interest in… The Backyardigans. If you’ve never heard of them, here they are: It is about a group of friends who travel through both time and space to adventure in their (you guessed it) backyard. For added fun, each episode is set to different genre of music. So much imagination for us to emulate! Boxes become race cars and space ships and submarines. Bang is following in his footsteps. He tags along with his big brother to go on adventures in the backyard. Though now it might involve being chased by zombies or pretending they are ninjas. But no matter what they’re pretending, they’ll always be my wild things. The photo on the left was built by Crash for Bang. 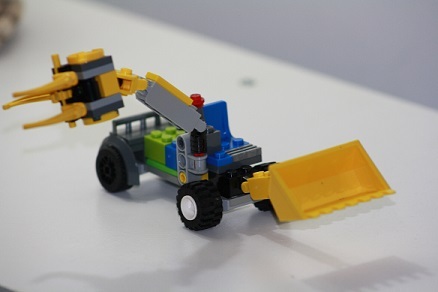 Bang loves diggers and this digger improved 10 fold with the addition of the claw. The photo on the right is roughly 6 or so “sets” of legos. They got built according their instructions. Then disassembled a couple days later to be rebuilt as God knows what. One particular morning when the stars aligned they played quietly together for quite some time. When I came to find out what they were up to (when they’re quiet, they’re up to something) they had built a Lego playground. I wish I had gotten a picture of it before it was dismantled. There are so many ways to foster creativity. By far the easiest is to read, read, read. While reading alone is a good step, take it one more step and discuss the reading and put yourself or your kids into the story. If “Hey dad, watch this” is the kid’s equivalent to “Hold my beer” then “Hey dad, what if…” is equivalent to “Lets do shots”! Once the hard liquor comes out who knows where the rest of the night is going. Once the what if’s start there is no predicting where the story goes. Don’t be shy. Play the game with them. Heck, be the one to start it. It can make an ordinary day extraordinary! Imagination isn’t simply about being creative. It’s about thinking differently. It’s about exploring the possibilities, the methods of making those dreams a reality. Imagine what would have happened had Edison not improved the light bulb, if Neil Armstrong had not stepped on the moon, if Steve Jobs had not created Apple, or if your favorite author had not put pen to paper. I just discovered the dad I want to be when I read about the dad who hacked Donkey Kong. His daughter wanted to play as the princess so she could save Mario. Dad took that “what if” and made it real. Amazing. Of course, it helped that he was a game designer and capable of such miracles. Lastly, most importantly, is my favorite dreamer, my DW. A friend asked her if it would be possible to build a new playground for our community. We had but one very poor, slightly dangerous playground. She imagined a playground that far exceeded anyone’s expectations and one year after lighting the spark, 500 community members came together and made the dream come true. Check out the video to see the dream become a reality. Is imagination important to you? How do you foster creativity? This little piggy went to playgroup. This little piggy stayed home. This little piggy had a fart. This little piggy had a poop. And this little piggy? As a child, I was bonkers for Christmas. The entire month of December, I couldn’t sleep at night from anticipation. As Robyn explained, the waiting, the suspense, the anticipation is as thrilling as the event. It makes me think of Christmas morning. This year, our count down chain started with 42 links. 42 sleeps away from the big day. Each day would bring something new. We started decorating slowly. A decoration here and there. Outdoor lights went up early due to an unusual 20 degree (Celsius) day in November. After American Thanksgiving* our tree was put up and the boys decorated it. A sure sign that Christmas was coming. Of course, all that waiting leads up to an hour or 2 of opening presents that passes very quickly. It’s all that waiting that makes the morning so exciting. In the world of running, it’s the same. My DW has signed up for her first running event, Sole Sisters. It’s not until June, but her training starts now (sort of). As with any running event there is training to be done. Practice, practice, practice. Then race. Think of the Olympic sprinters and the months they spend training on the track. Yet, their race is over in less than ten seconds. Your favorite movies and books do the same thing. I love the Game of Thrones series. I just wish there weren’t 6 years between book publications! The suspense kills me (though not nearly in any way that George R. R. Martin would). And my all time favorite book, “The Book Thief” by Markus Zusak, I wonder the whole way through if and how Liesel and Max survive the story. Terry Brooks is among my favorite authors. I might own nearly every book he’s published. He excels at suspense. Just as the chapter is getting good, BOOM, it ends, forcing me to read another chapter to find out what happens. Which of course, leads to something else happening that I’ll have to read in the next chapter. 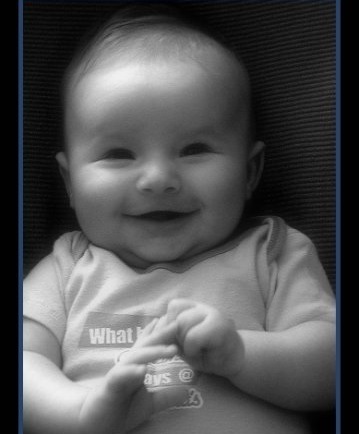 Then, finally, that last little piggy yells “tickle tickle tickle, all over you” and laughter ensues. After the tickling stops he’ll tell me, “Now the other foot”. *As an American living in Canada, we celebrate both Canadian Thanksgiving in October and American Thanksgiving in November.